Make a gift to CIS Gulf South as an individual or organization. Only YOU can keep caring adults in schools to help students succeed. Communities In Schools of the Gulf South serves 17 schools with 22 staff members and we need to raise $30,000.00 per school each year to maintain our services. CIS Gulf South has an active Go Fund Me campaign to help close our funding gap. Communities In Schools of the Gulf South also accepts in-kind donations! If you are interested in making an in-kind donation please email us at development@cisgulfsouth.org to tell us more about what you would like to donate. Communities In Schools of the Gulf South offers three different types of volunteer opportunities. Communities In Schools of the Gulf South has opportunities for community members to volunteer with us. For those with limited free time, Done-in-a-Day opportunities provide a chance to give back by working on a specific project. Done-in-a-Day volunteer activities are also ideal for corporate and civic groups to engage in service. Interested in volunteering with CIS Gulf South for a Done-in-a-Day opportunity? Click the button below to view a calendar of volunteer opportunities. CIS Gulf South is seeking volunteers to serve as mentors. Expanding youth mentoring in New Orleans has been a top priority for CIS Gulf South. Extensive research has shown that youth who have adult mentors have a far greater likelihood of succeeding no matter their personal circumstances. The Communities In Schools of the Gulf South Mentoring Program gives adult volunteers and youth the opportunity to engage in a mentoring relationship in a structured and safe school-based environment. To apply to be a mentor, please fill out the below application and email it to Rebecca Rubenstein, National Programs & Mentoring Coordinator at mentoring@cisgulfsouth.org. AmeriCorps members at Communities In Schools of the Gulf South: The CIS Gulf South AmeriCorps program provides support to help students succeed in Kindergarten through 12th grade. Guided by the evidence-based CIS Gulf South model of Integrated Student Supports (ISS), corps members work inside public schools. During their 5 or 10 month commitment, corps members engage in a variety of activities including mentoring, one-on-one counseling, providing psychosocial assessments, group counseling, and implementing a social skills group curriculum. AmeriCorps members are required to be currently attending graduate school for counseling or social work and must be in the practicum or internship semester. AmeriCorps members assess the mental and behavioral health needs of 300 students in their assigned school. Members are provided with an evidence-based program designed specifically for implementation in schools. Since 2007, more than 75 AmeriCorps members have served at CIS Gulf South. AmeriCorps engages more than 75,000 Americans in intensive service each year at nonprofits, schools, public agencies, and community and faith-based groups across the country. 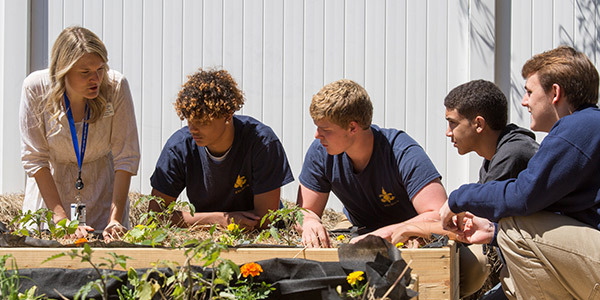 Since the program’s founding in 1994, more than 1,000,000 AmeriCorps members have contributed more than 1.2 billion hours in service across America while tackling pressing problems and mobilizing millions of volunteers for the organizations they serve. 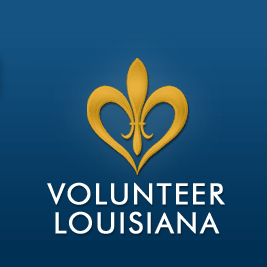 Volunteer Louisiana was established in 1993 in the Office of the Lieutenant Governor to rekindle the spirit of service and citizenship among the citizens of Louisiana. Lieutenant Governor Billy Nungesser continues the commitment to service in Louisiana. 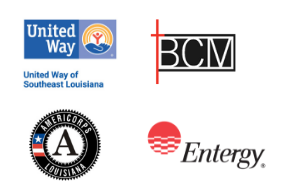 The mission of Volunteer Louisiana is to build and sustain high quality programs that meet the needs of Louisiana's citizens and promote an ethic of service. Volunteer Louisiana facilitates the AmeriCorps funding for CIS Gulf South. Send a cover letter and resume to Brittney Thomas, Director of Student Services, at brittneyt@cisgulfsouth.org. For information on the new program or to fill out an application, click below. Communities In Schools of the Gulf South, Inc. welcomes applications from qualified individuals who are committed to the success of children in public schools. Communities In Schools of the Gulf South, Inc. seeks a qualified counselor or social worker to implement its evidence-proven model of integrated student services on the campus of an Iberia Parish Public School that serves students in a high school setting. The Site Coordinator is responsible for planning, organizing, implementing and coordinating CIS activities and programs on the campus. The Site Coordinator interfaces with campus personnel and coordinates school functions with the CIS program and CIS administration. The Site Coordinator will provide assessments, referrals, and counseling or supportive guidance and connect numerous community service providers to the students who need them. Superior communication, organization, and team building skills are required. Minimum of an LMSW or PLPC is required. Full-time, year-round position with benefits. Communities In Schools of the Gulf South, Inc. seeks a qualified counselor or social worker to implement its evidence-proven model of integrated student services on the campus of an Iberia Parish Public School that serves students in an elementary or middle school setting. The Site Coordinator is responsible for planning, organizing, implementing and coordinating CIS activities and programs on the campus. The Site Coordinator interfaces with campus personnel and coordinates school functions with the CIS program and CIS administration. The Site Coordinator will provide assessments, referrals, and counseling or supportive guidance and connect numerous community service providers to the students who need them. Superior communication, organization, and team building skills are required. Minimum of an LMSW or PLPC is required. Full-time year-round position with benefits. Communities In Schools of the Gulf South, Inc. seeks a qualified counselor or social worker to implement its evidence-proven model of integrated student services on the campus of a New Orleans Charter School that serves students in a high school setting. The Site Coordinator is responsible for planning, organizing, implementing and coordinating CIS activities and programs on the campus. The Site Coordinator interfaces with campus personnel and coordinates school functions with the CIS program and CIS administration. The Site Coordinator will provide assessments, referrals, and counseling or supportive guidance and connect numerous community service providers to the students who need them. Superior communication, organization, and team building skills are required. Minimum of an LMSW or PLPC is required. Full-time, year-round position with benefits. Communities In Schools of the Gulf South, Inc. seeks a qualified counselor or social worker to implement its evidence-proven model of integrated student services on the campus of a New Orleans Charter School that serves students in a k-8th grade school setting. The Site Coordinator is responsible for planning, organizing, implementing and coordinating CIS activities and programs on the campus. The Site Coordinator interfaces with campus personnel and coordinates school functions with the CIS program and CIS administration. The Site Coordinator will provide assessments, referrals, and counseling or supportive guidance and connect numerous community service providers to the students who need them. Superior communication, organization, and team building skills are required. Minimum of an LMSW or PLPC is required. Full-time year-round position with benefits. Summary: Communities In Schools of the Gulf South, Inc. is expanding. We are seeking a qualified professional to assist with the daily support needs in our growing office. CIS is a non-profit affiliate of a national organization working in public schools in the Greater New Orleans area and currently serving 17 schools. The position is a full-time position with benefits. Wage commensurate with experience. Must have reliable transportation. Interviews to begin April 22nd with the position starting on or around May 15th. If interested, please click the Apply Now button below to fill out an application. Attach your cover letter and resume to the application before submitting through PDFfiller.